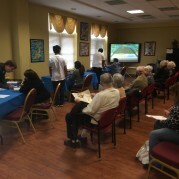 Video-Game Therapy Making Gains with Post-Stroke Residents at Roosevelt. 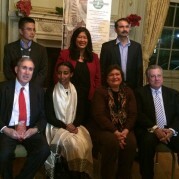 December 9th, 2014 – Dr. Burdea has received the NJ Immigrant Entrepreneur of the Year Award. BrightBrianer was demonstrated at the Business to Governments Conference and Expo, Fort Meade Baltimore MD, on May 13th-14th, 2014. Fort Meade is conveniently located between Washington, D.C. and Baltimore. The installation lies approximately five miles east of Interstate 95 and 1/2 mile east of the Baltimore­ Washington Parkway, between Maryland State routes 175 and 198. 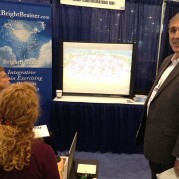 August 27, 2013 – BCI pre-launched BrightBrainer™ at the 10th International Conference on Virtual Rehabilitation in Philadelphia, USA. We were located at Booth 6. 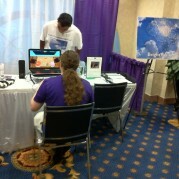 For further details see www.virtual-rehab.org. BCI is co-sponsor of this central conference to the field.